FMD, survived 700 years, then killed by 21st century cost cutting bureaucracy! I wonder how many brown envelopes passed under the table for those contracts! Do like the revolution, bring out old choppy! Has anyone seen this bloke. Is he OK? ProfE is very quiet on this matter, I'd have thought for him the bells would toll! I see a French $$$$ guy, who's married to Salma Hayek (always a favourite ), has pledged EUR 100 million to the rebuild. Maybe it was a stunt by the French government to boost the economy! Very generous, I wonder how long it will take, I suspect he'll be dead before that is ever completed! Knowing the French bureaucracy it'll probably be 10 years before they even start! I married a French girl so yeah, it's been a sombre day at home. When I saw the steeple collapse it reminded me of the plane flying into the WTC. It was a shocking image. To see something that has been there seemingly forever come down it's difficult to comprehend. When you think of Paris there are many building that are cultural icons, but for many French people of faith the cathedral really epitomised old Paris, more so than the glamourous landmarks. Hope all the ER people are OK, looked a bad fire. Some other equally (or more) rich French dude has now added EUR 200m to the total.....should be fixed before Christmas? 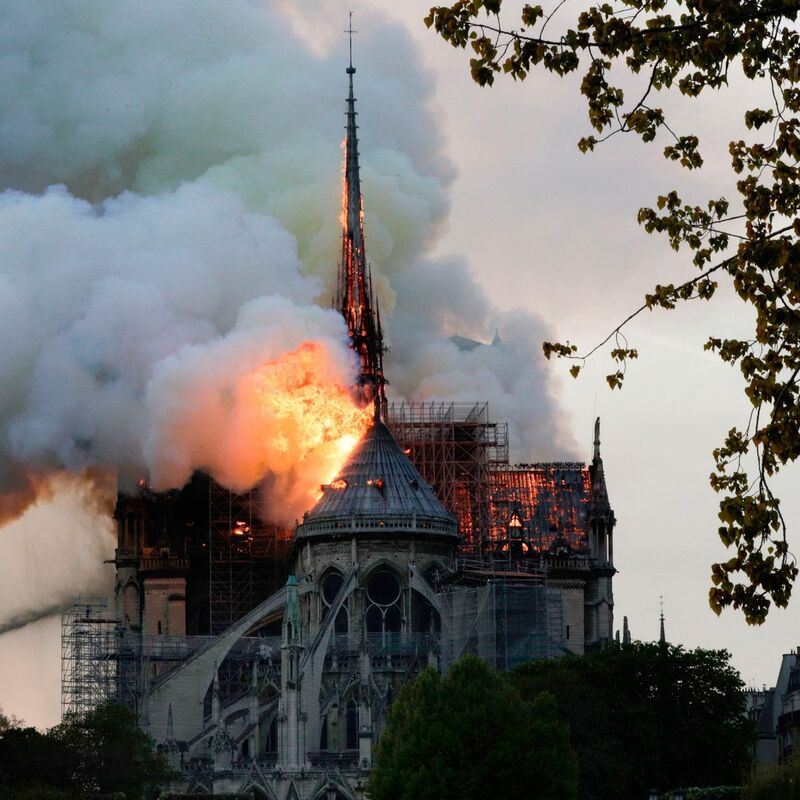 A truly sad day in French history, but they'll get the rebuild done. I was really saddened by this. I'm not religious, but I love Paris, have been there many times and lived there for a few months a couple of years ago. Notre Dame is one of the most beautiful buildings I've ever been in, and so rich in symbolism and history. Yes they'll rebuild it, but will it be the same? Knowing the French and modern architects, they'll probably replace it with something like a stylised crystal "tree of life" or an ankh or rainbow unicorn or something else wildly inappropriate that will, in a bizarre manner, work like the pyramid in front of the Louvre. My tip is an anti-glass pyramid, otherwise known as a black pit of despair! Let's just hope that this beautiful and important piece of European history is not lost. Vivre la France! There is some irony in the Catholic Church needing donations, and calling for volunteers, to help fund the rebuild. Like the organization that is richer than some countries is short of cash!